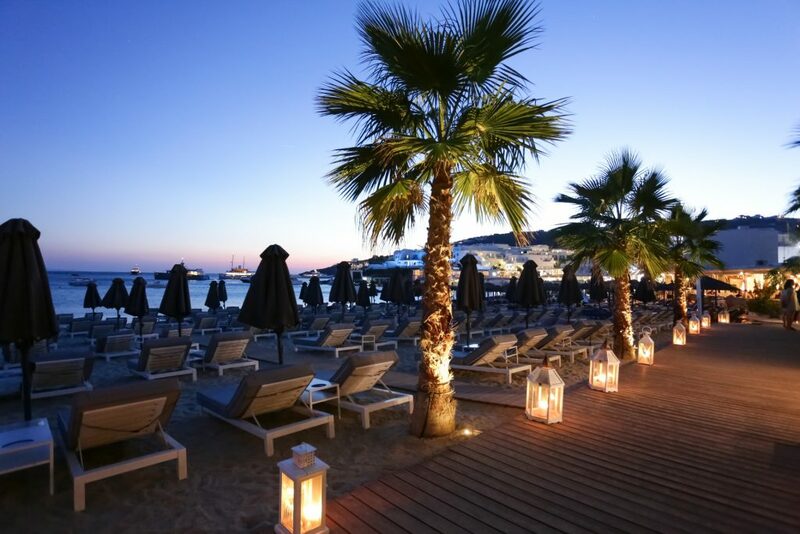 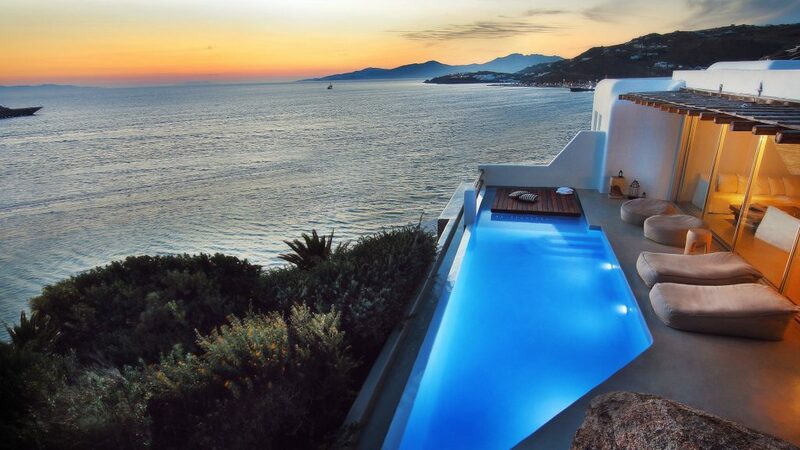 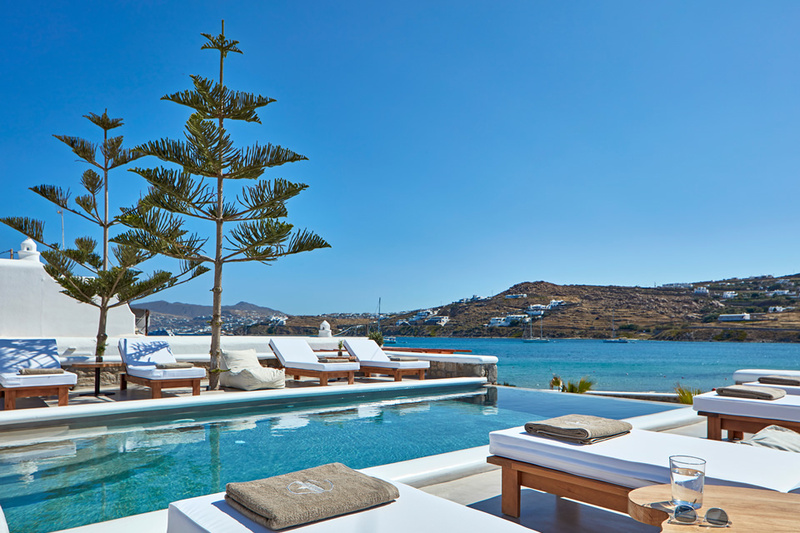 Mykonos Town has a good choice of high quality hotels offering luxurious accommodation, first class facilities and some very good dining options. 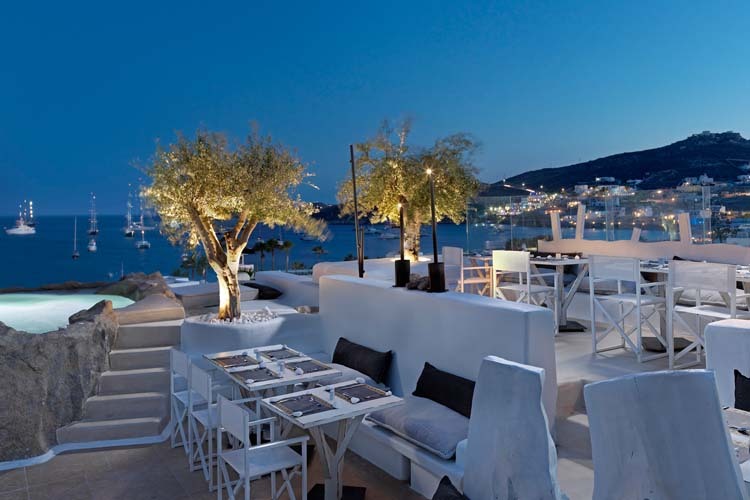 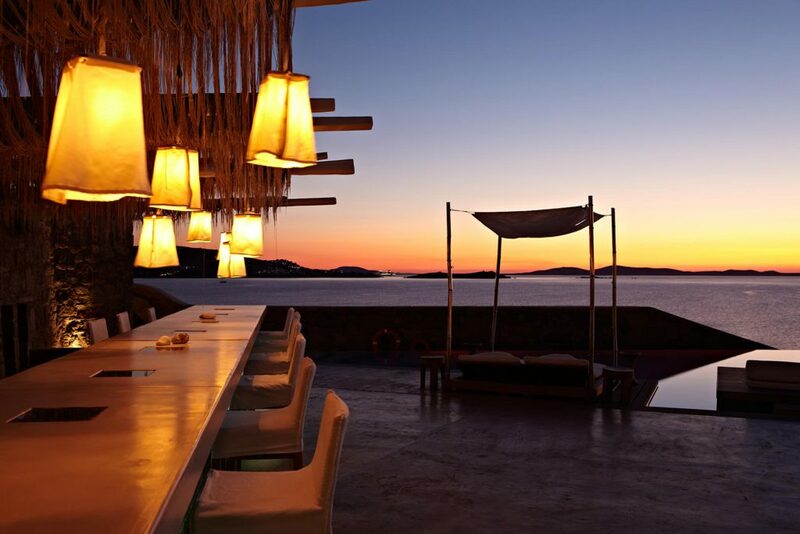 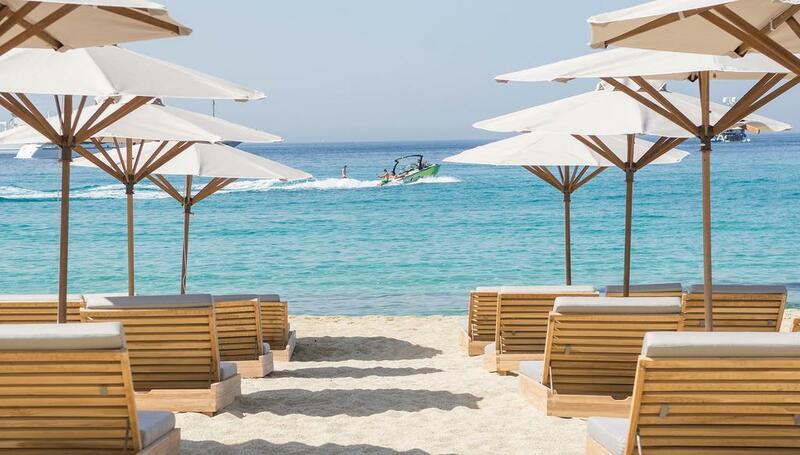 For many people being close to the Town is a must as each evening this is the place to enjoy the many cafes, restaurants and lively bars that Mykonos has become famous the world over. 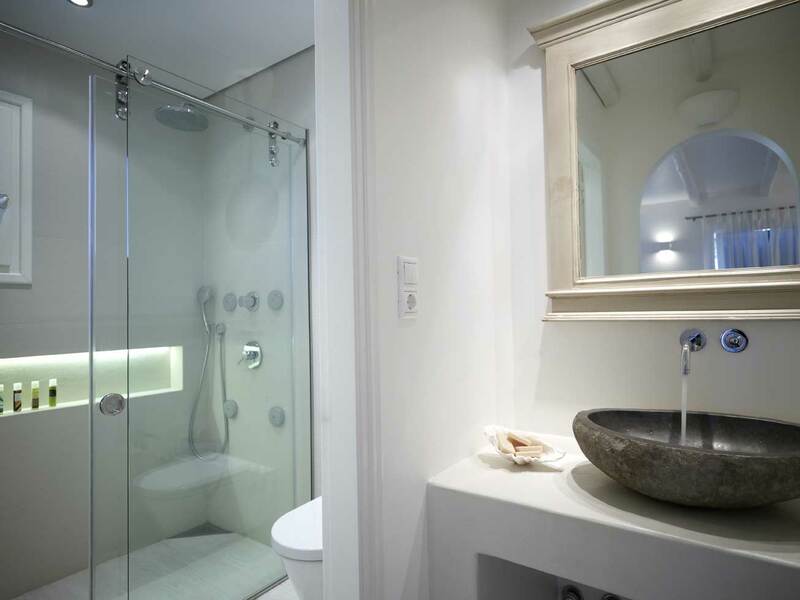 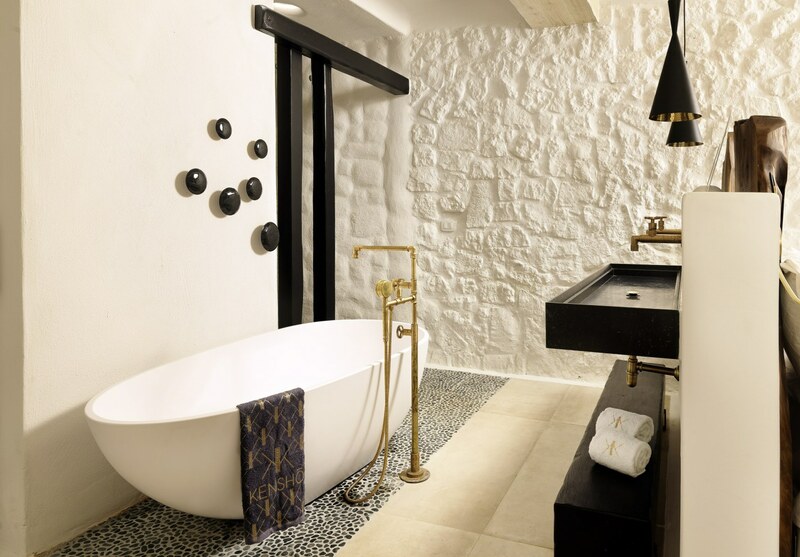 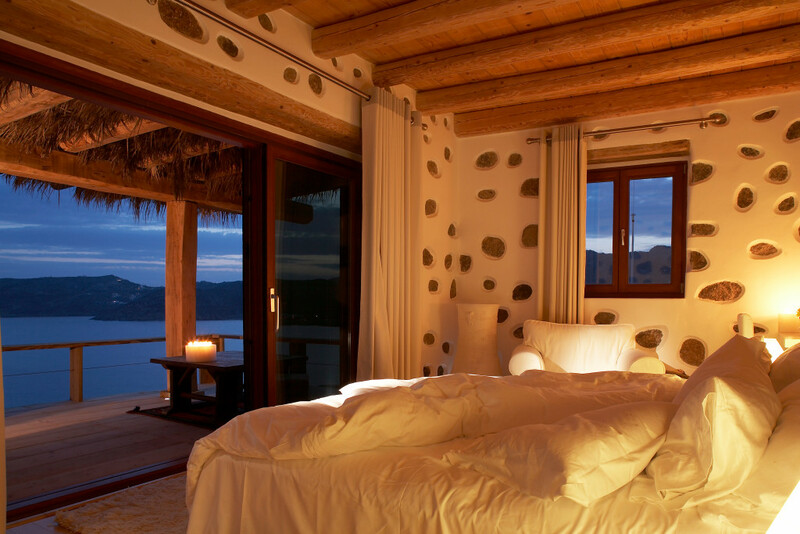 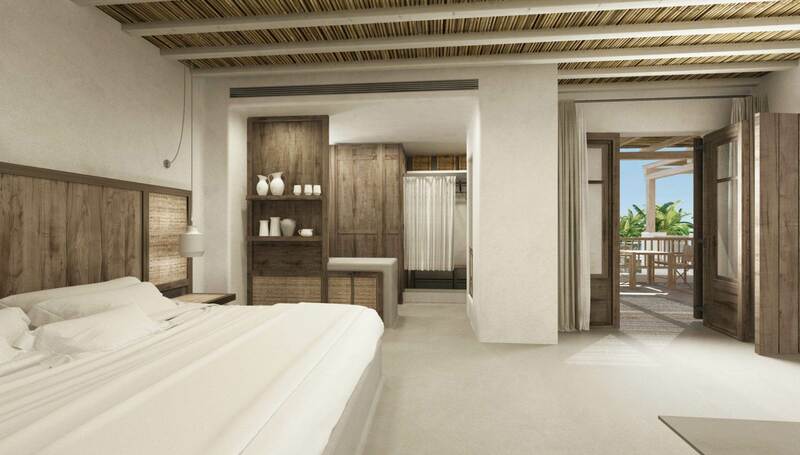 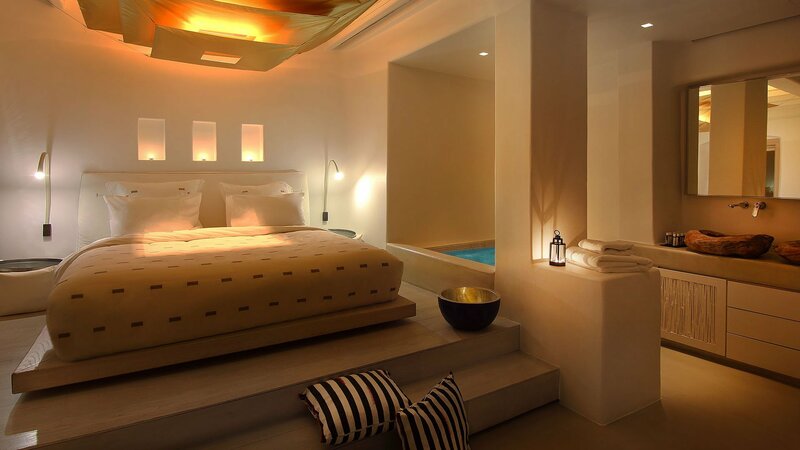 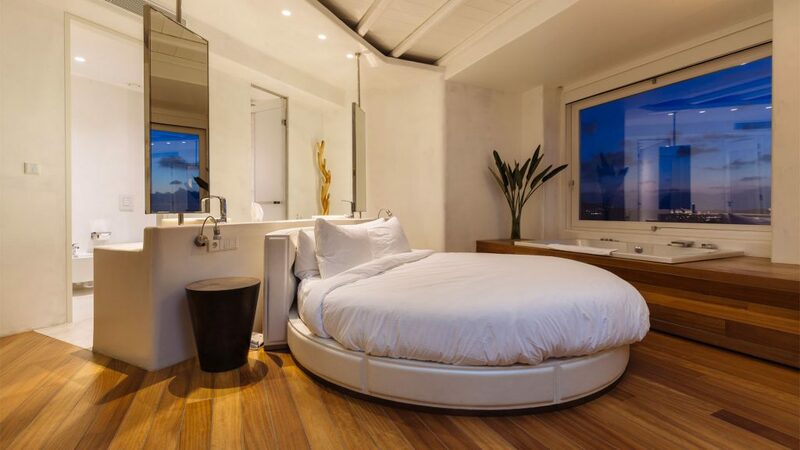 This luxury boutique style hotel offers a collection of high quality rooms and suites, many with private plunge pool. 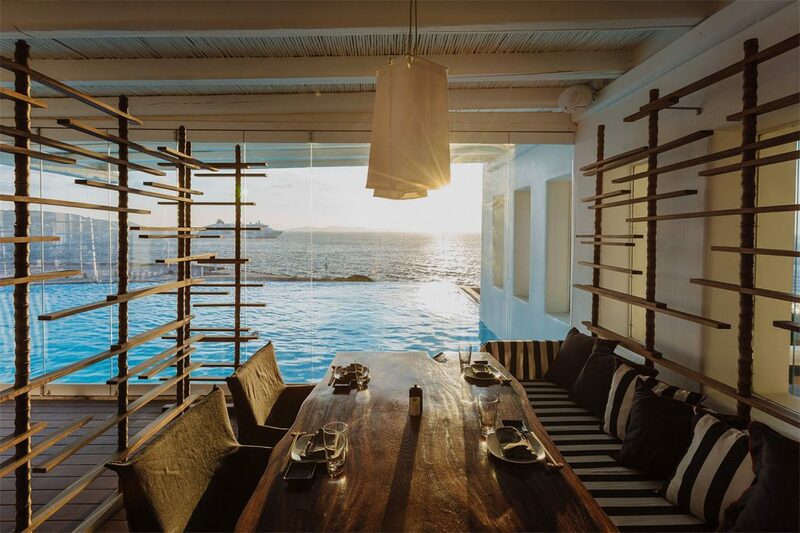 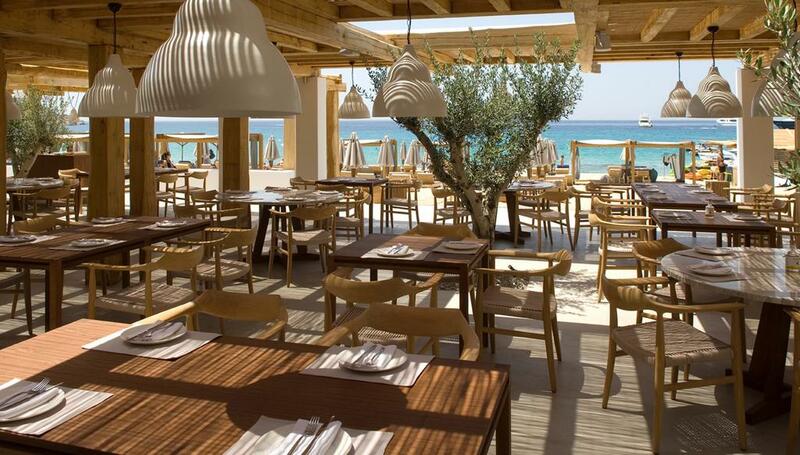 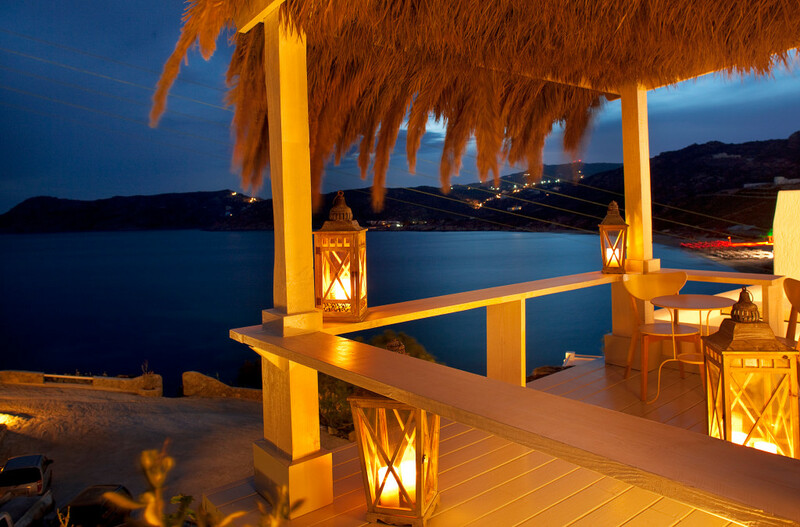 Attractive restaurant, Spa and freshwater pool with terrace overlooking the beautiful Mykonos Town. 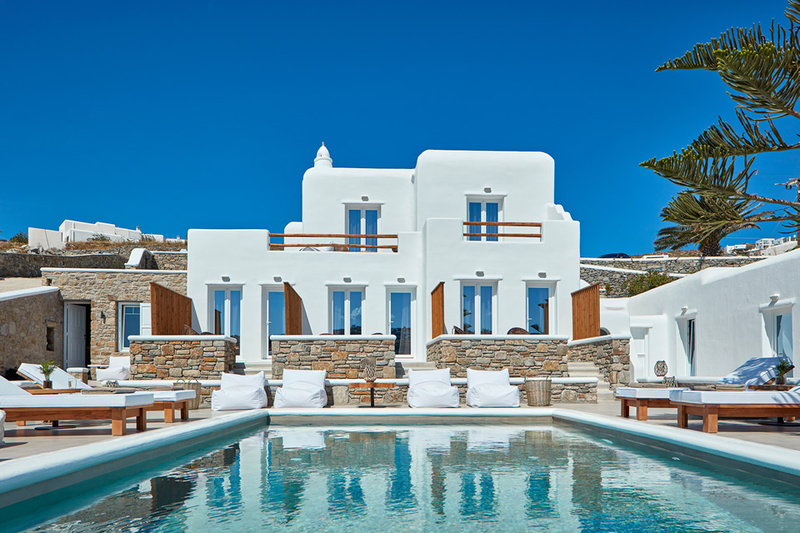 A unique collection of Luxury Villas are also available. 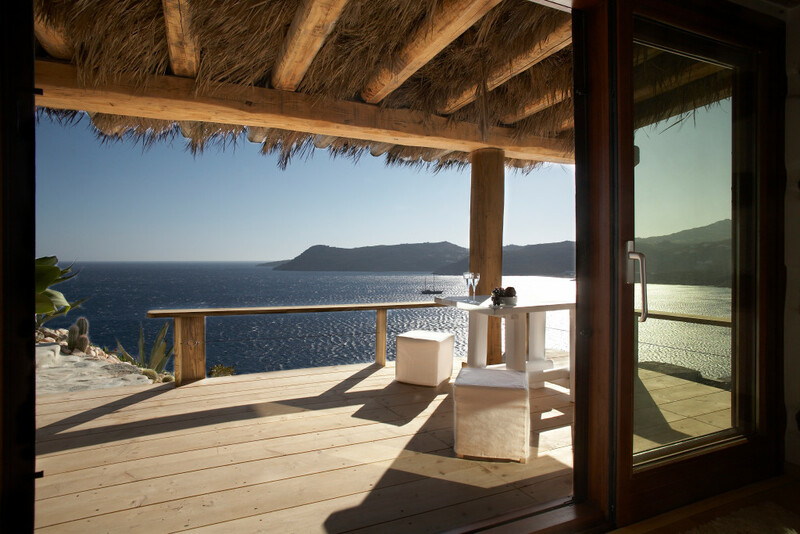 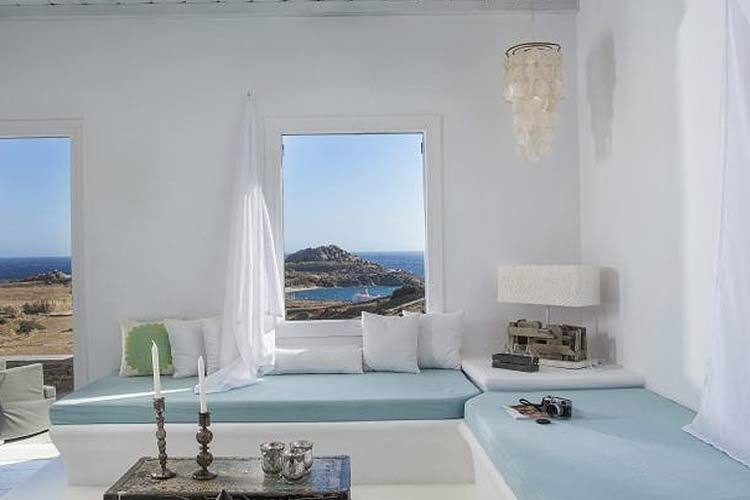 The island of Mykonos has some really beautiful beaches and crystal clear seas, to wake up each morning with the Aegean sea just in front of your eyes is something special and many of the islands hotels can offer such views. 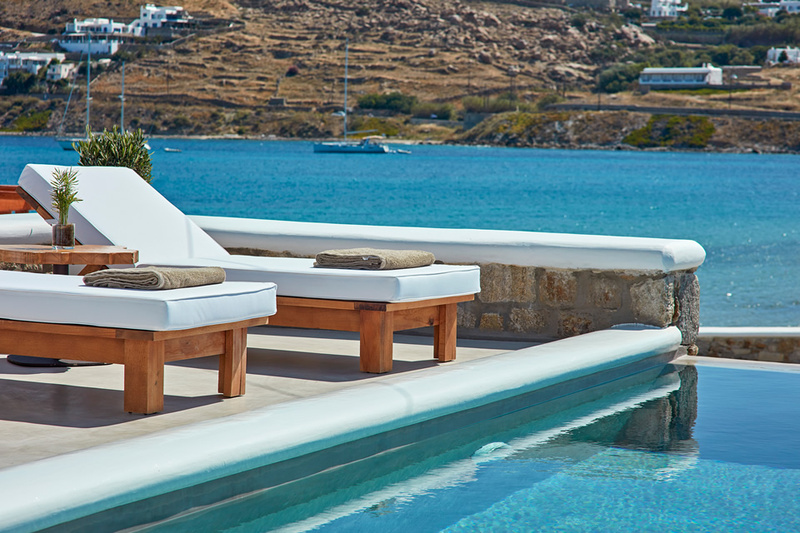 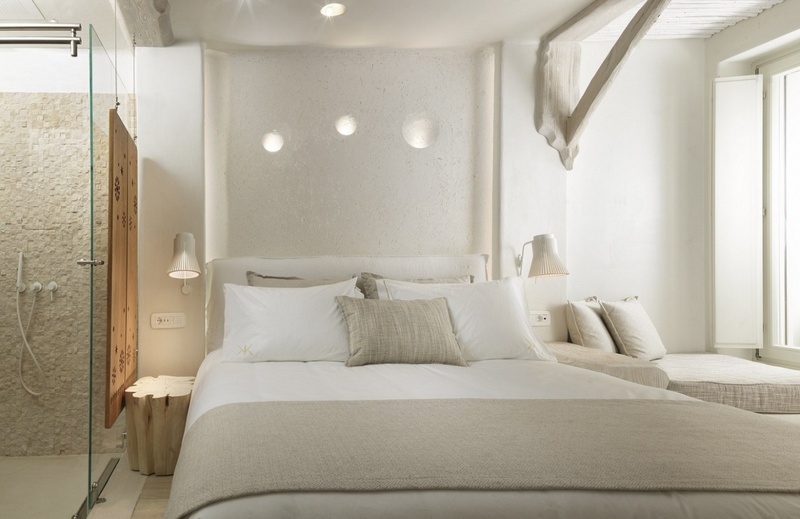 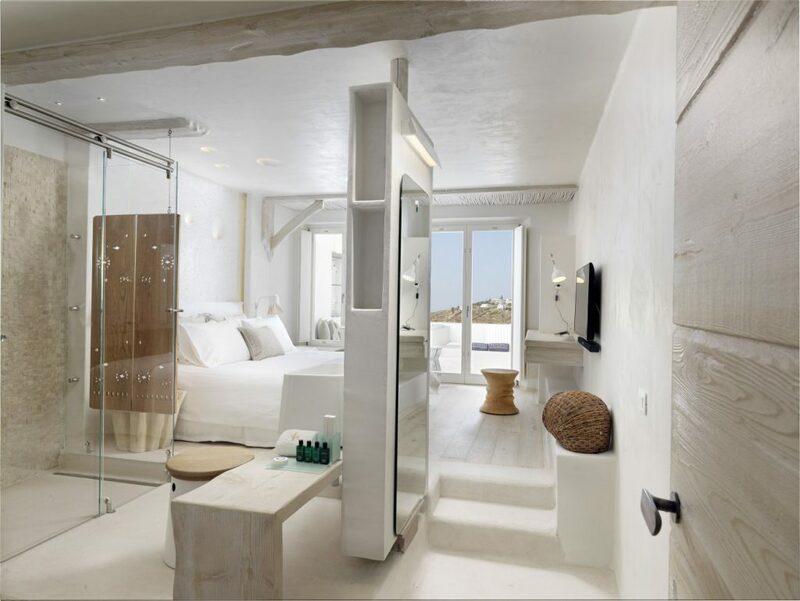 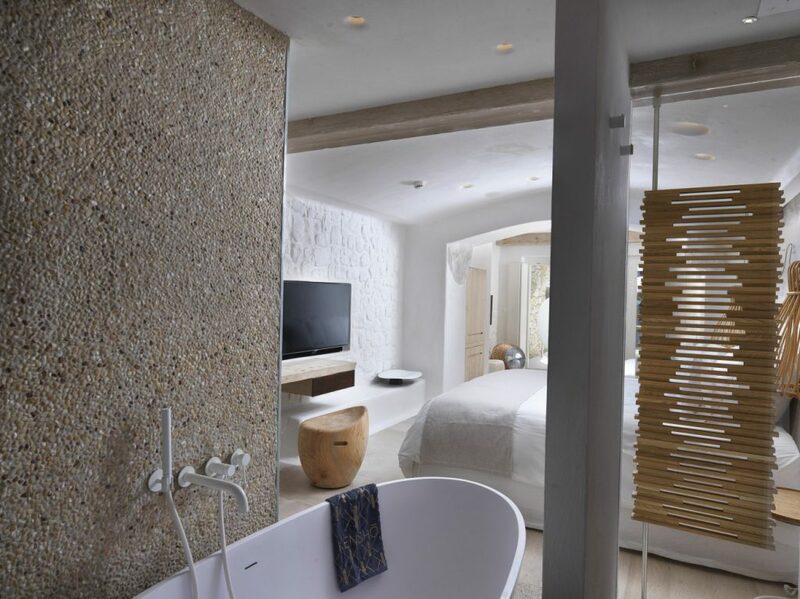 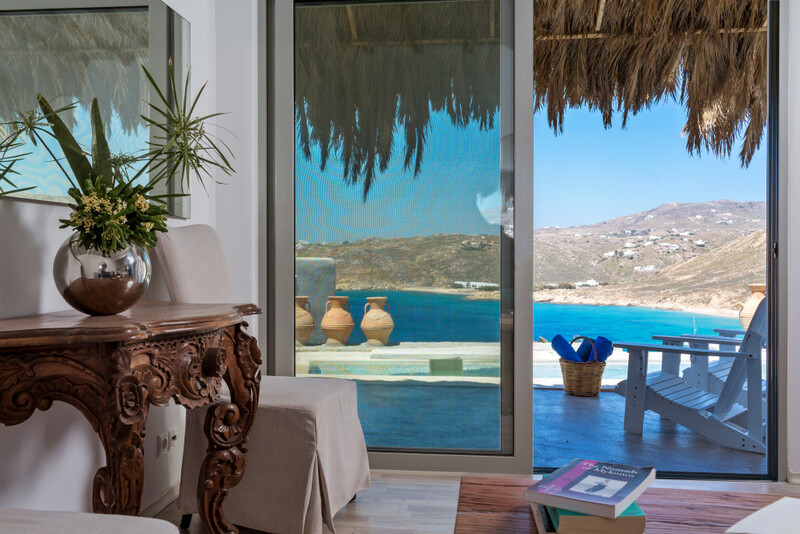 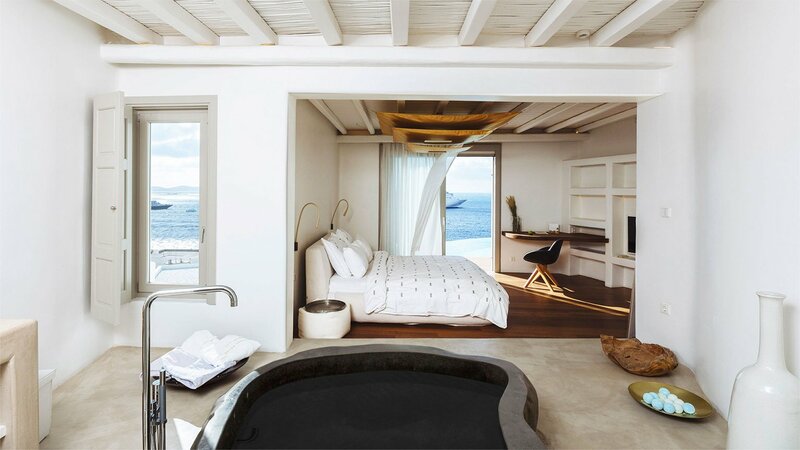 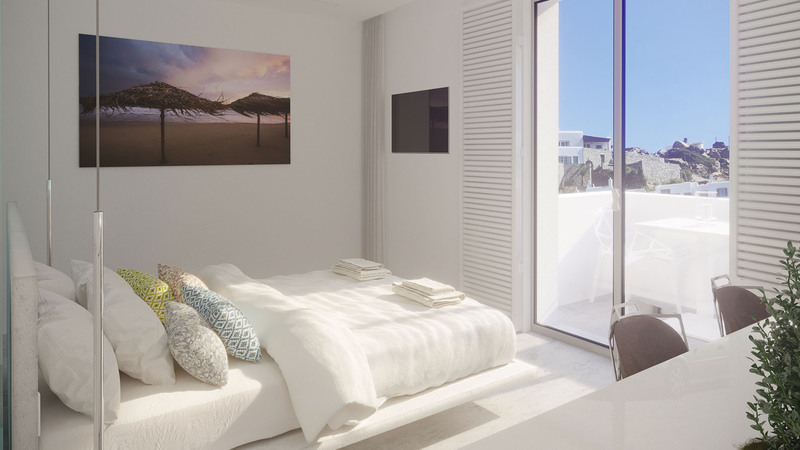 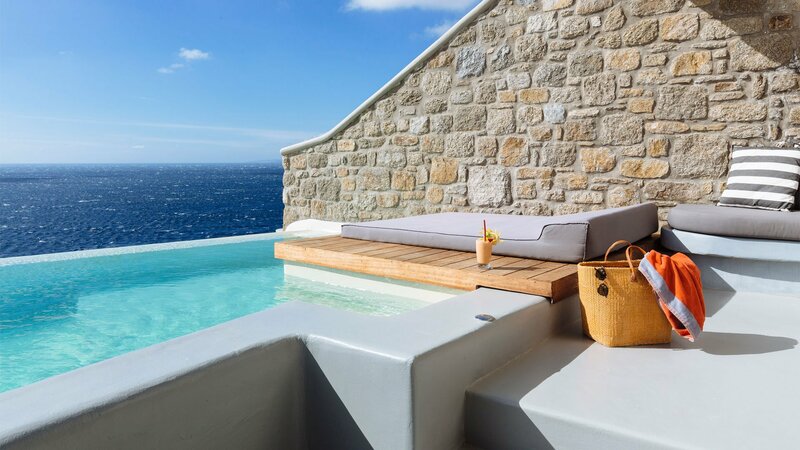 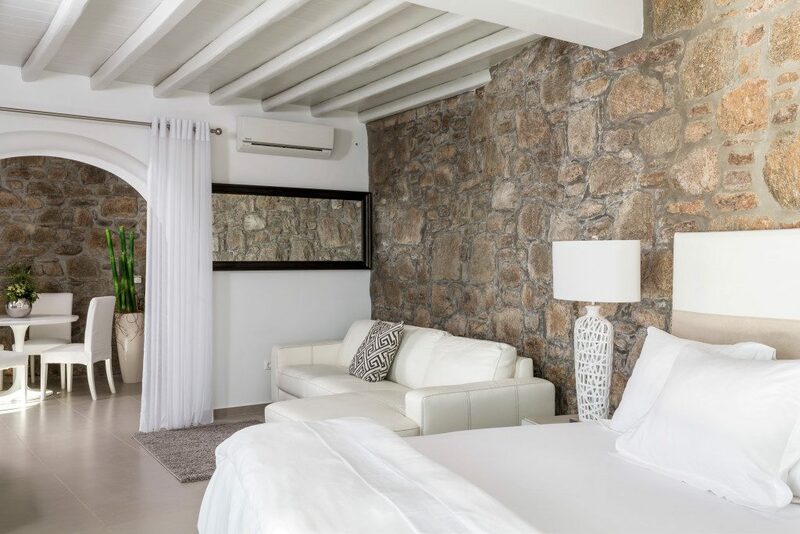 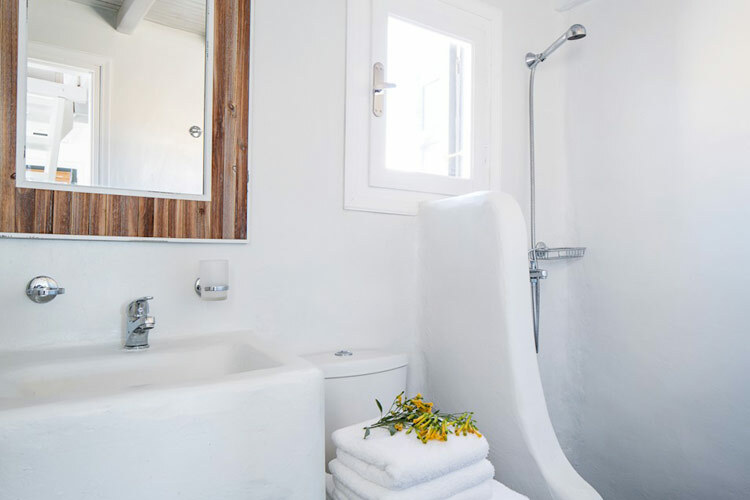 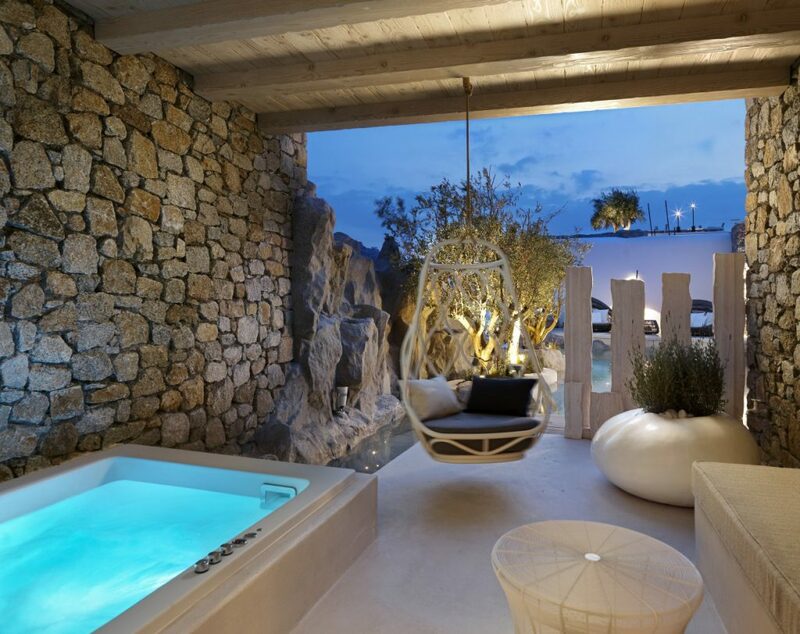 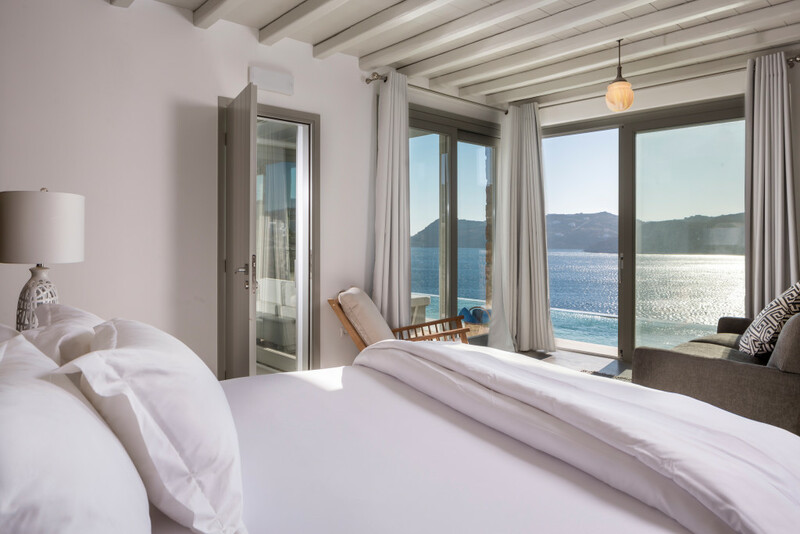 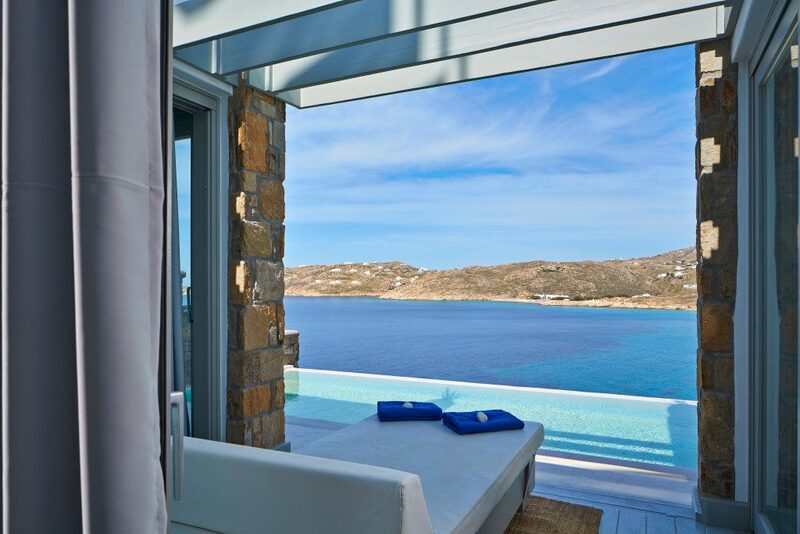 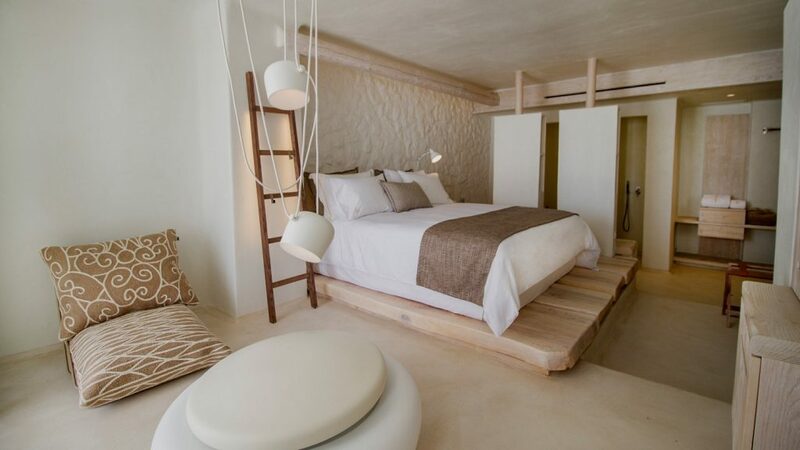 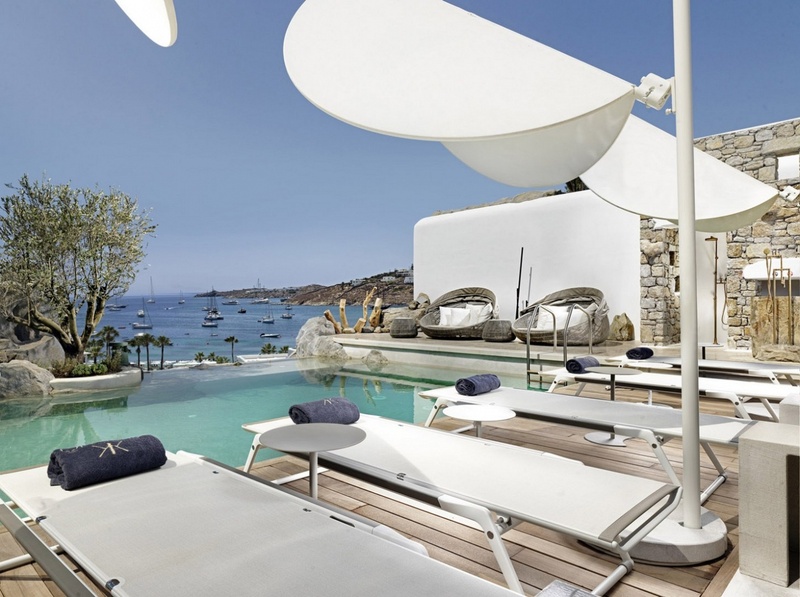 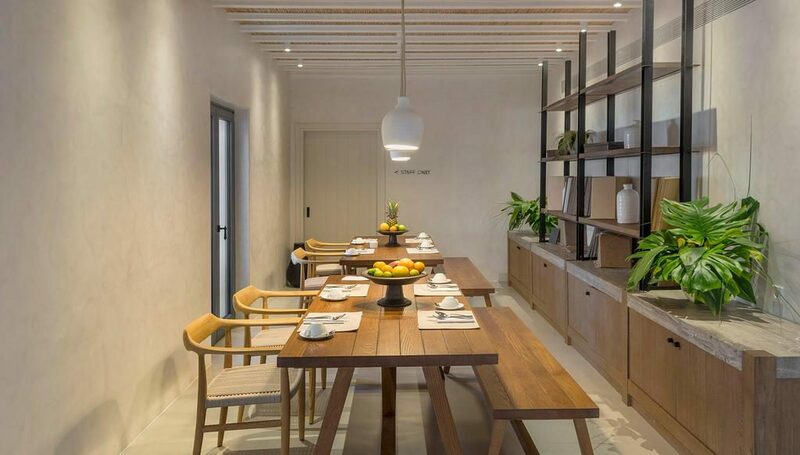 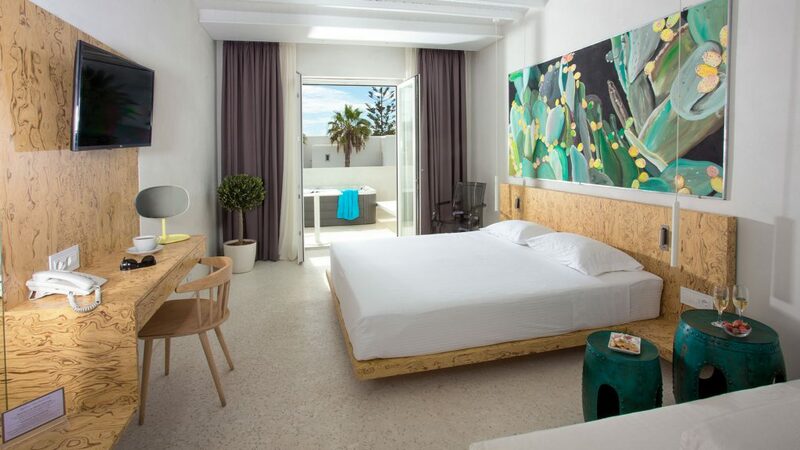 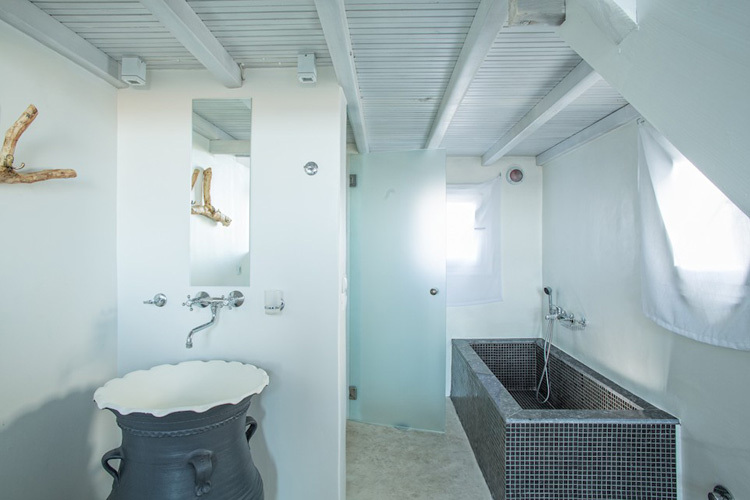 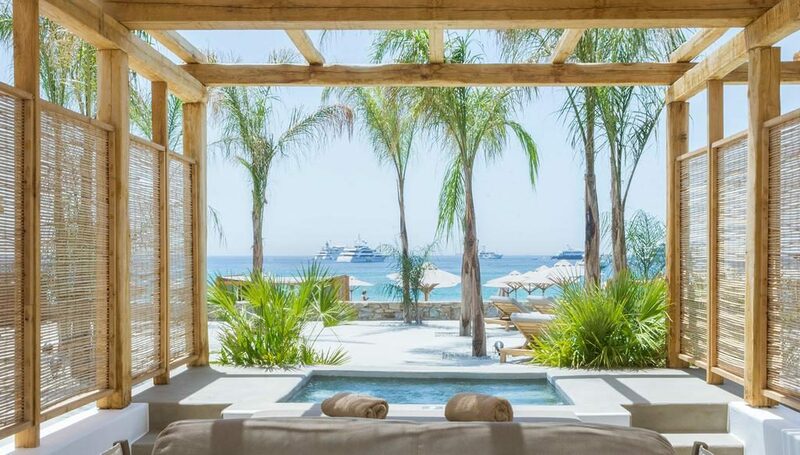 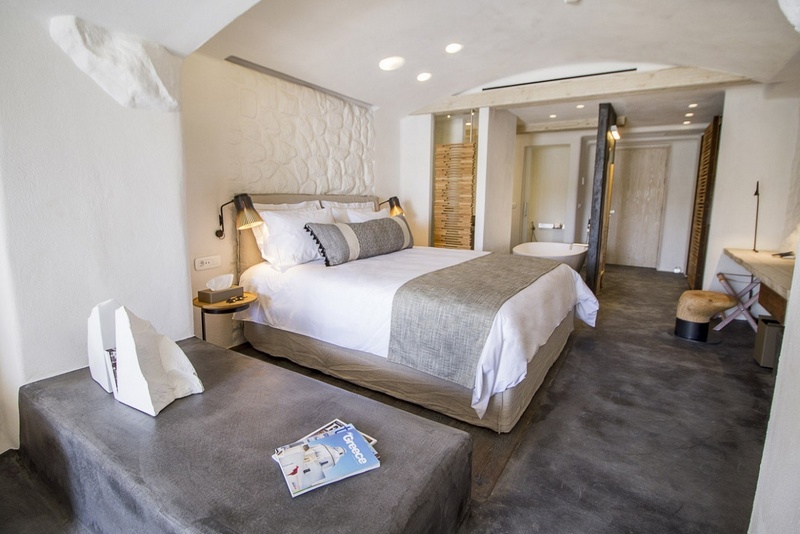 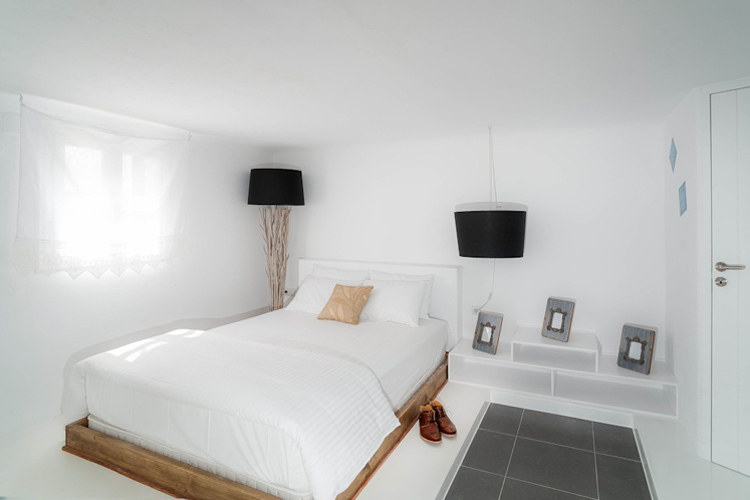 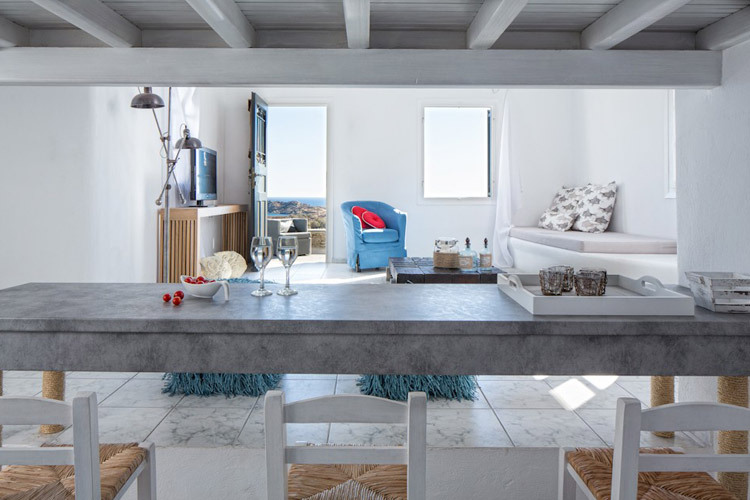 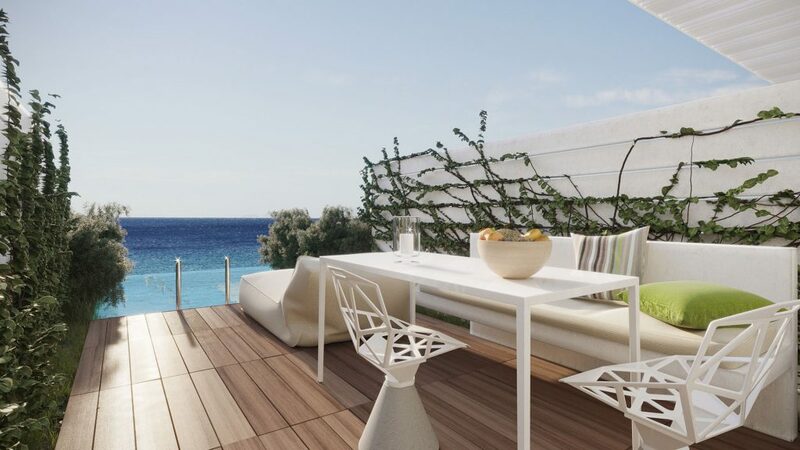 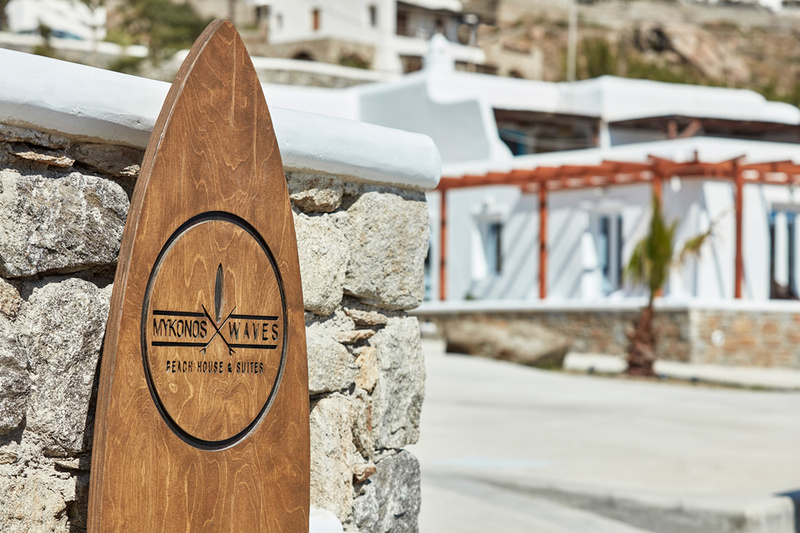 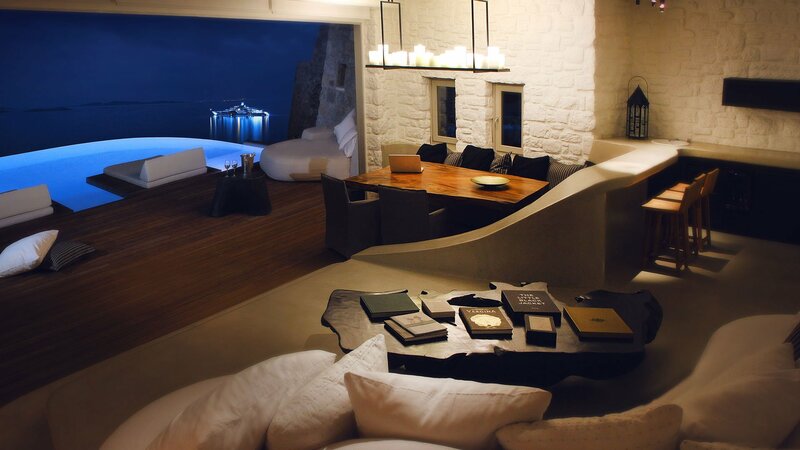 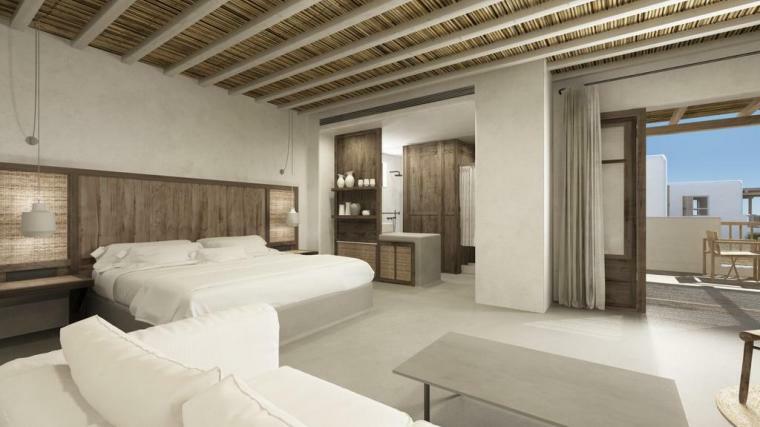 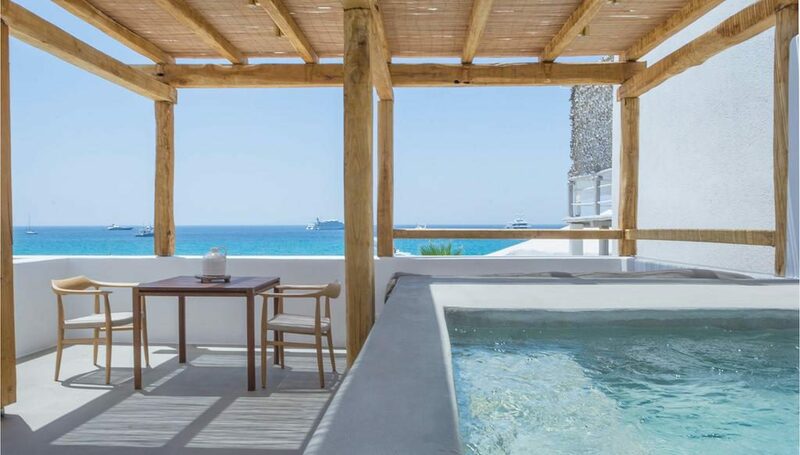 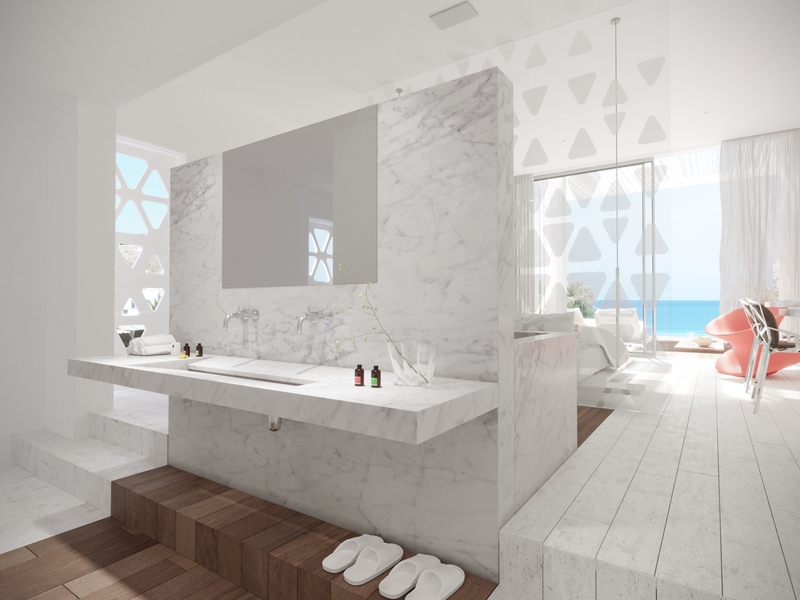 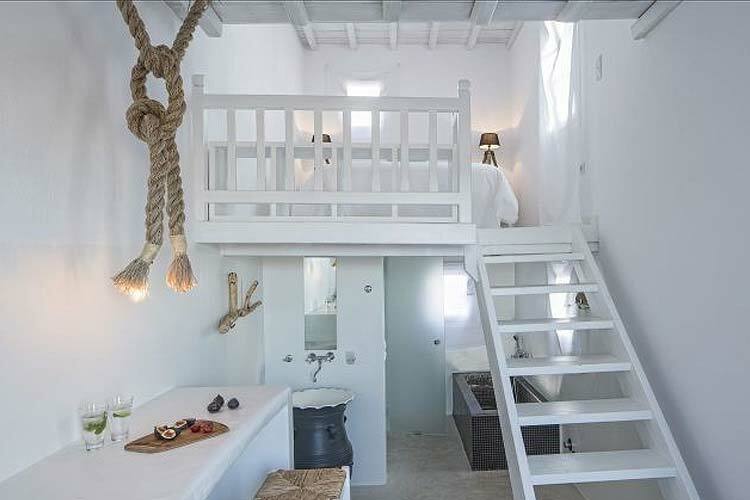 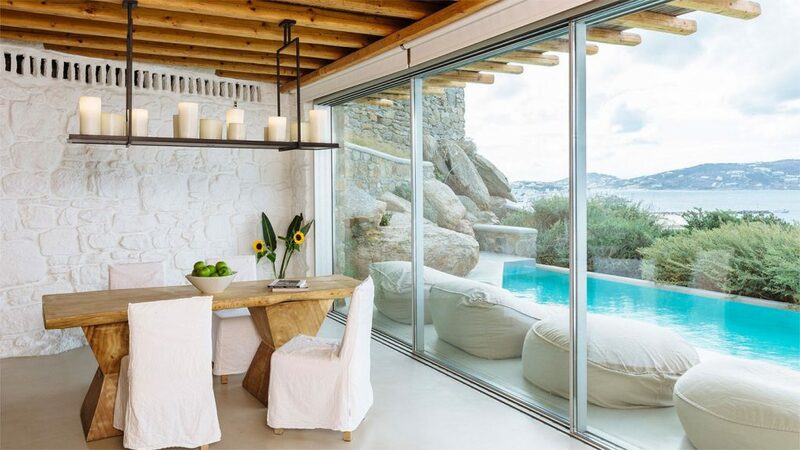 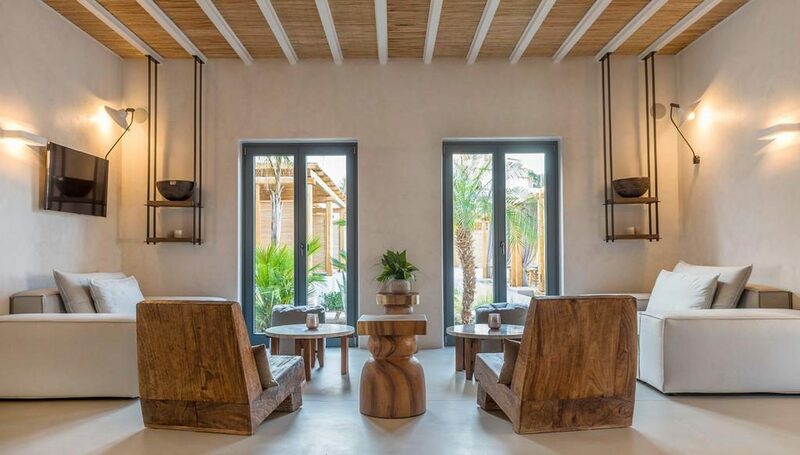 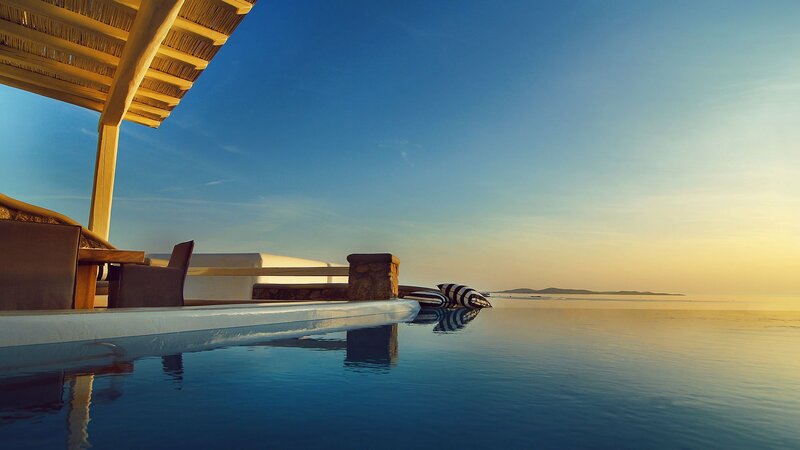 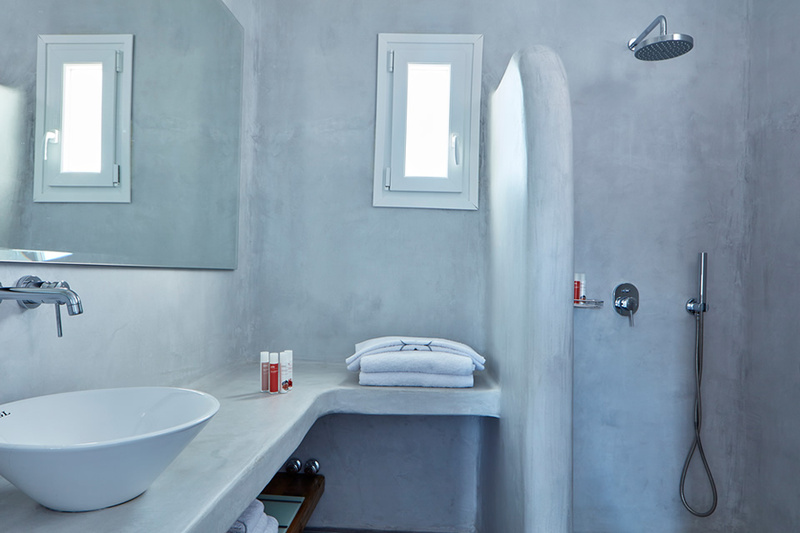 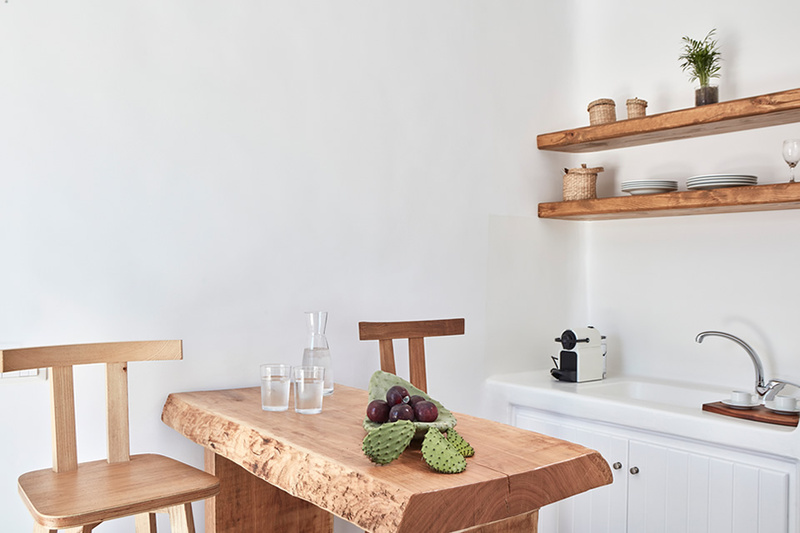 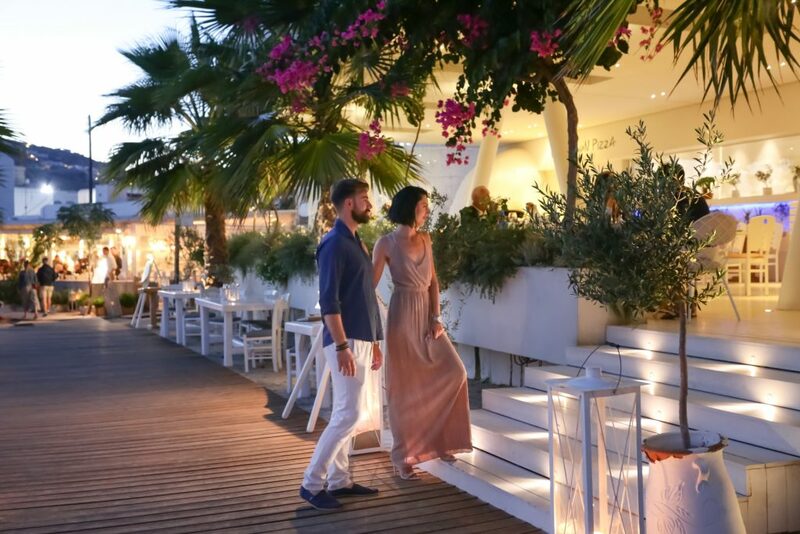 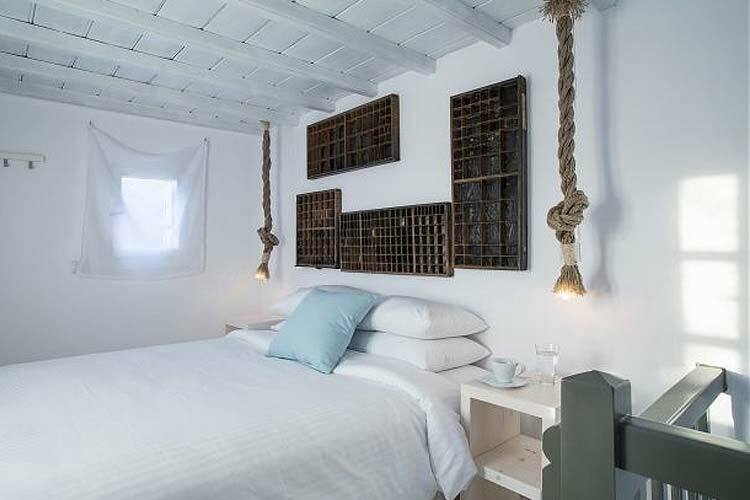 It seems that each year a new hotel opens its doors offing the next level in customer comforts, Mykonos has some wonderful boutique style properties with excellent facilities and amazing locations. 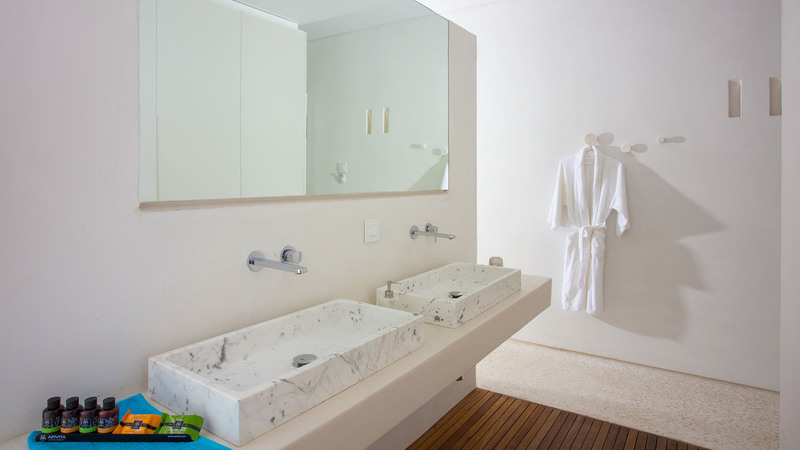 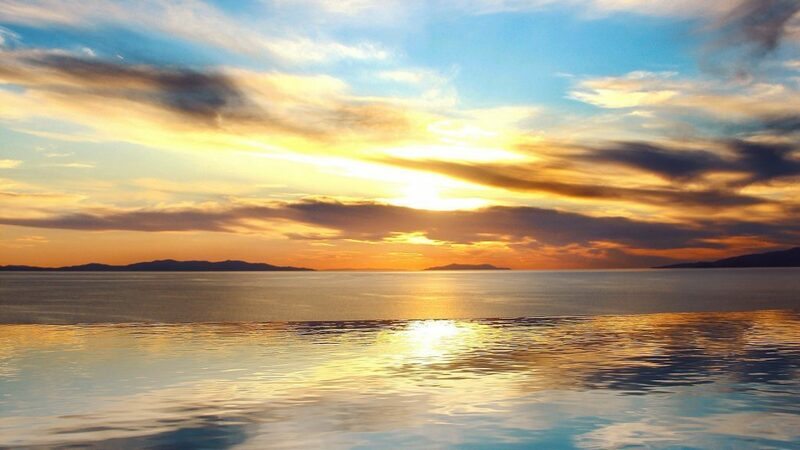 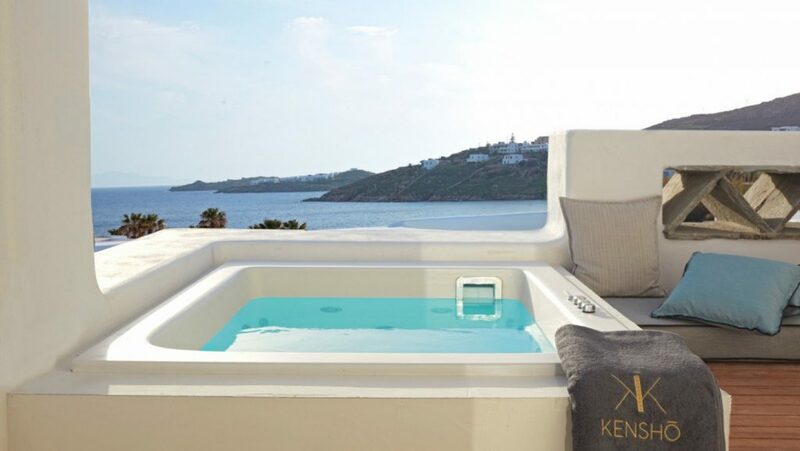 Small luxury Boutique hotel overlooking Elia Beach, Suites and Villas with private Jacuzzi or plunge pools. 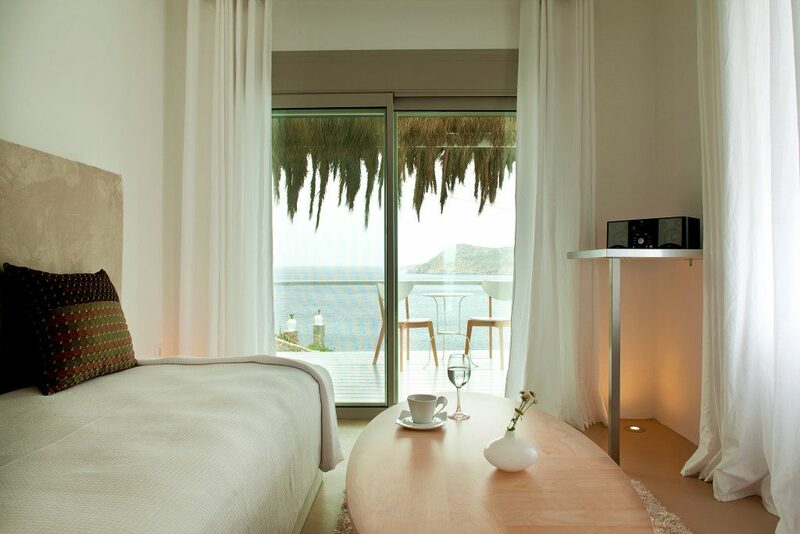 Hotel offers excellent restaurant, delightful Spa, chilled and relaxed atmosphere. 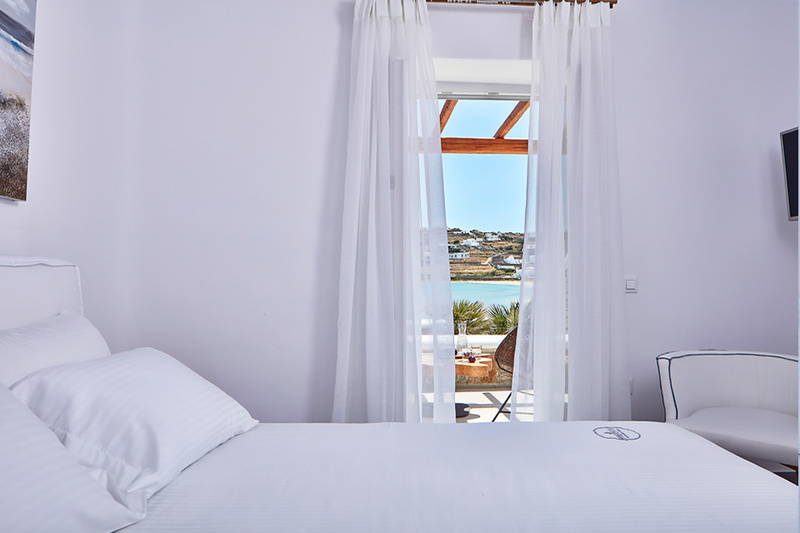 Stylish accommodation with 35 luxury rooms and Suites, lovely location above Ornos beach. 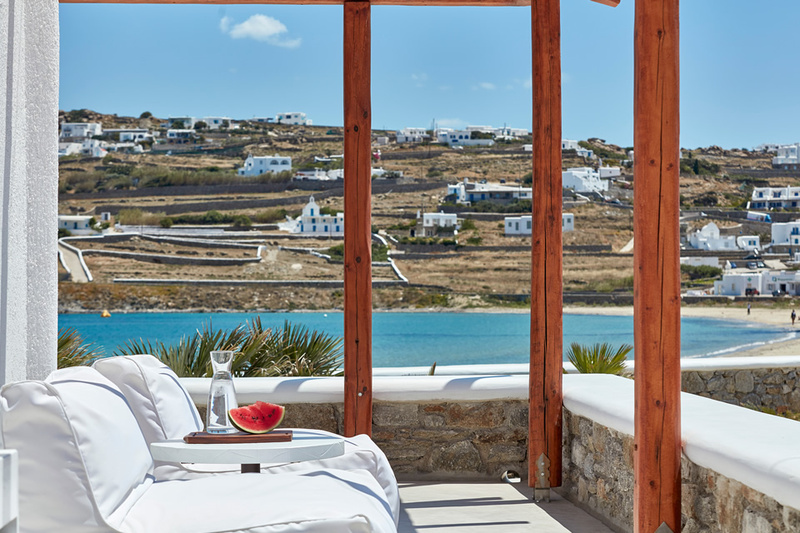 The hotel offers first class facilities including a quality restaurant, delightful pool with pool bar, Kensho Spa with beauty treatments and excellent all round friendly service. 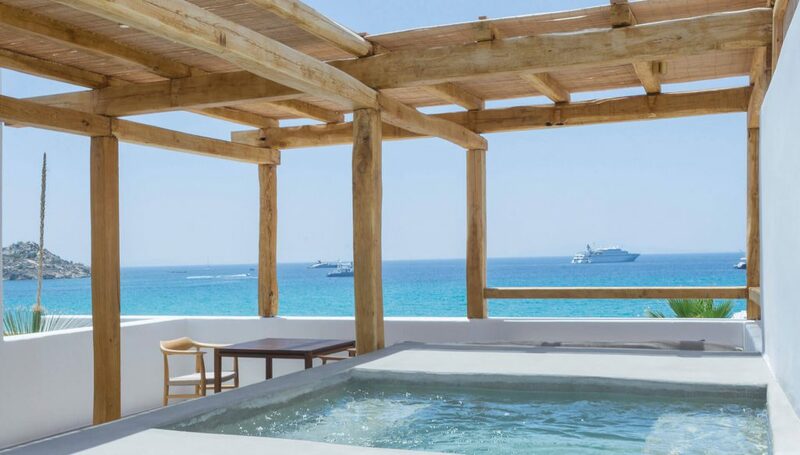 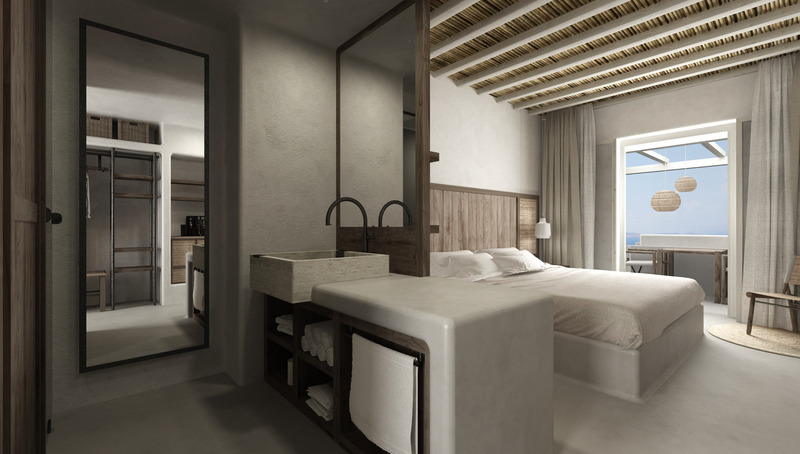 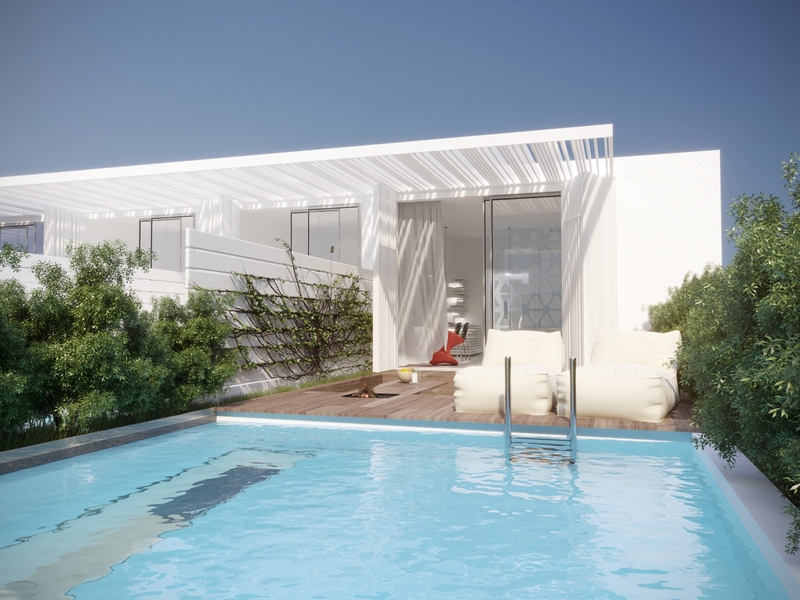 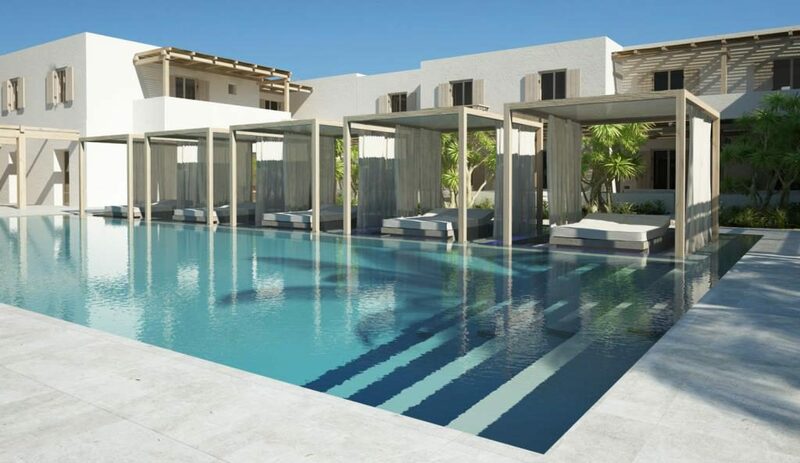 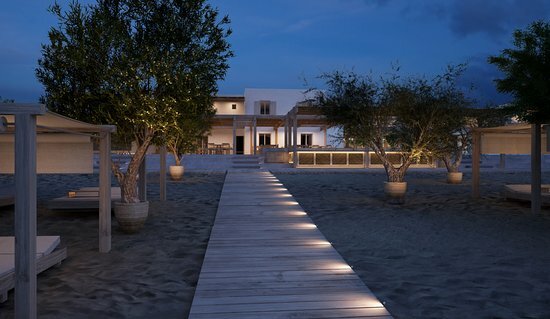 This new beachfront hotel located in Platis Gialos offering luxury accommodations, fresh water pool and high quality restaurant both of which feature direct beach access. 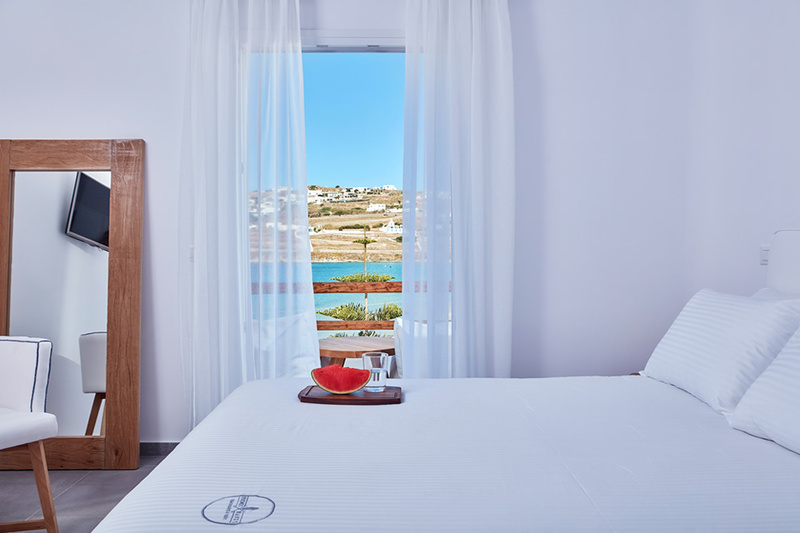 Stylish beachfront Boutique hotel with direct beach access, many rooms offer private pool or hot tub, quality Anios Mediterranean restaurant and first quality beach facilities including sun loungers with solar smartphone charges, daily beach towel change and great all round service. 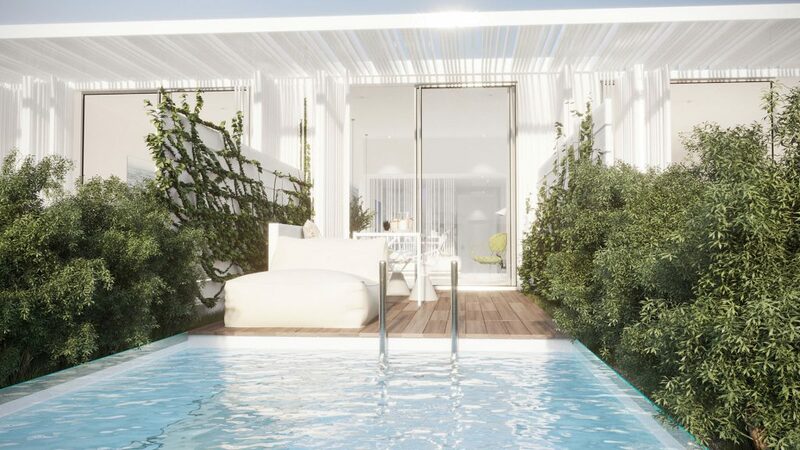 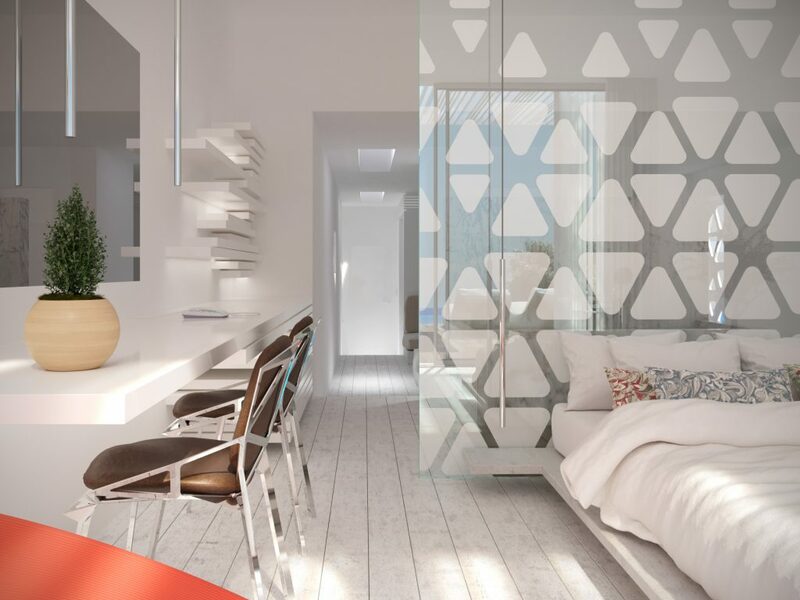 This is something a little different, a collection of high quality units located close to the beautiful beach of Paranga. 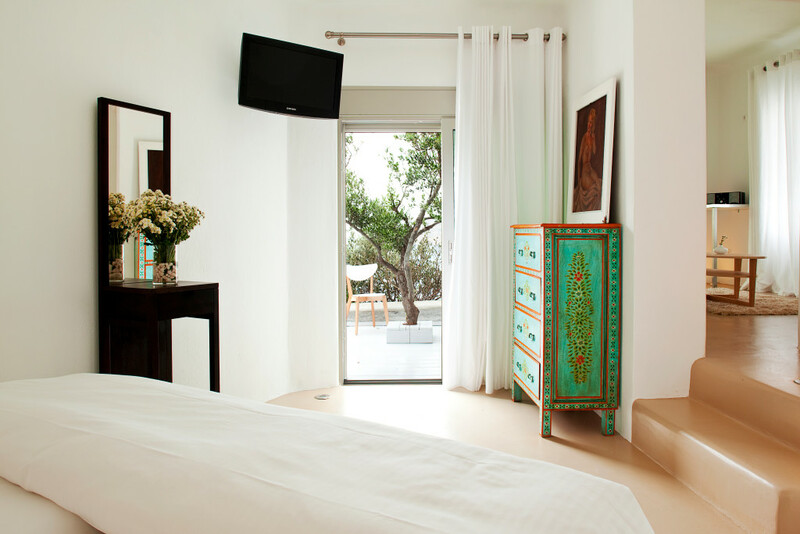 Accommodations include studios, suites and maisonettes for larger groups. 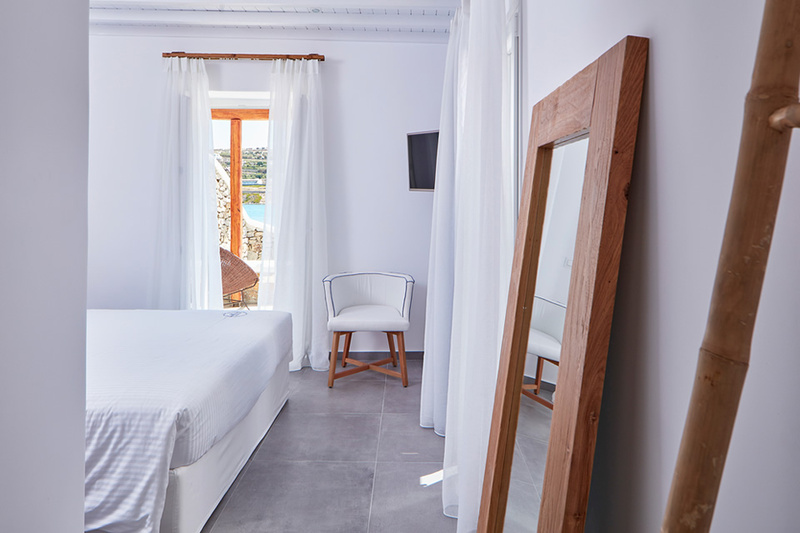 Chilled out Boutique hotel with infinity pool located on the beautiful Korfos beach, luxury rooms and suites all with kitchenette and lovely sea views. 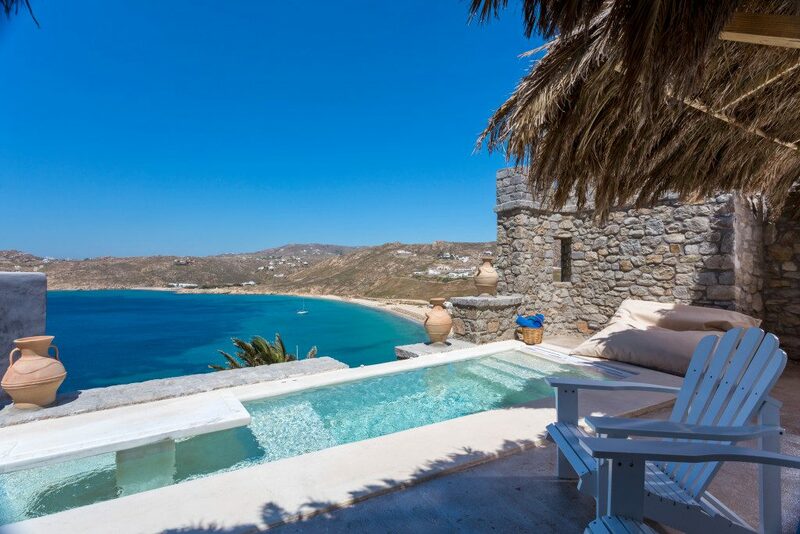 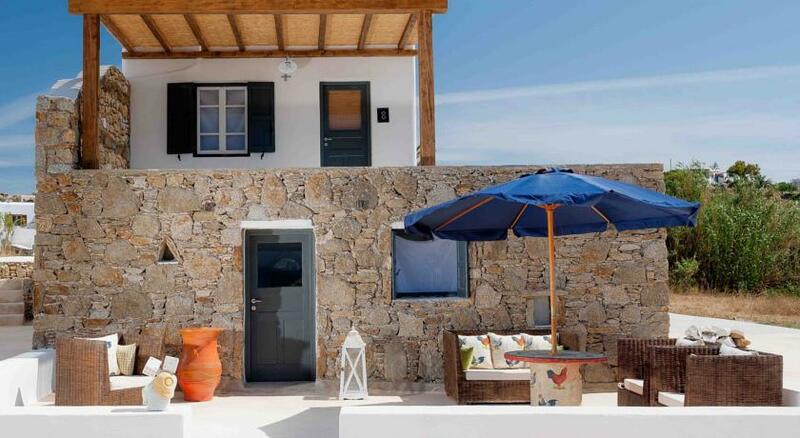 Quiet location but just 2.5km from Mykonos Town.